The Scribe Egg was the first of Theo Fabergé's creations for The St. Petersburg Collection. 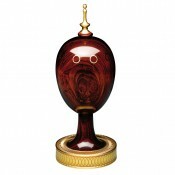 It is made from cocobolo wood, a rare and exotic wood from Central America. 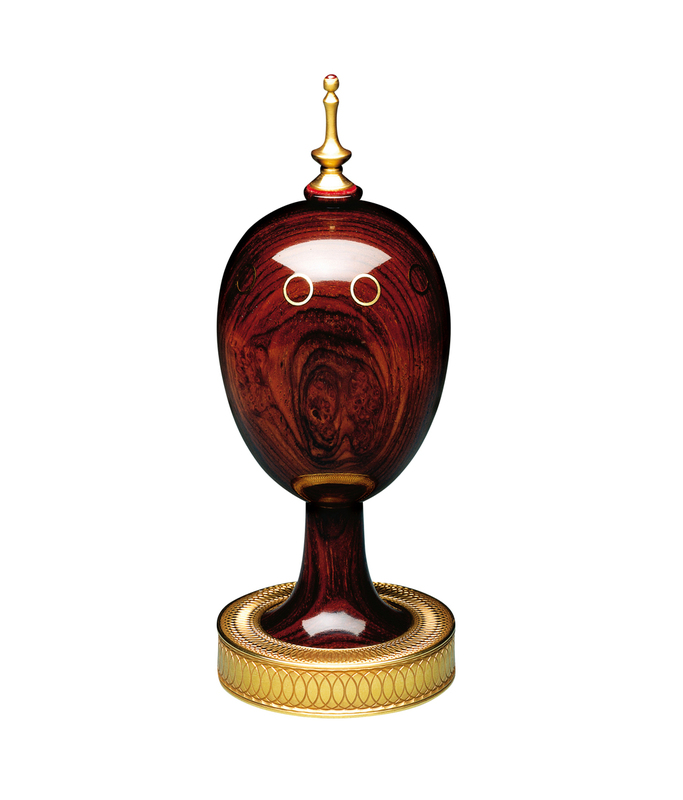 The Egg is inset with rings, whilst the base and the 24 carat gold finial are ornamentally turned on Theo Fabergé's own Holtzapffel Lathe. The surprise within is the Scribe's pen, 24 carat gold plated and embellished with a single cabochon ruby. Materials: Cocobolo wood,and ruby 24 carat gold.